* Dryer Vents Clogged With Lint Cause the Dryer to Run Longer, Resulting in Excess Energy Costs of $16 to $22 per Month. * Routine dryer vent maintenance will prolong the life of your dryer and make it run more efficiently. * Leading Appliance Manufacturers Recommend Your Dryer Vent be Cleaned Every Year. * If a Clothes Dryer Takes Longer Than One Cycle to Dry a Load Then There May be a Fire Hazard in the Dryer Vent. * There are 15,500 Fires Associated with Clothes Dryers Annually. These Fires Account for 20 Deaths, 370 Injuries and More Than $88 Million in Property Damage. 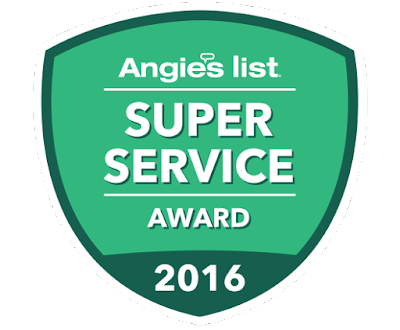 Thanks to our customers for once again voting us a Super Service Company with Angie's List.